Dog Fence: What's the Best Fence for a Dog? 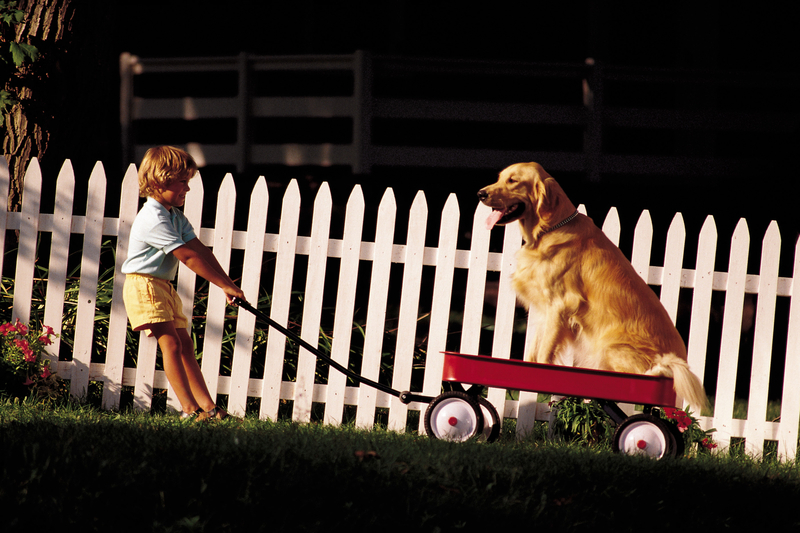 Wondering what the best fence is for your four-legged family member? There are plenty of fences that work well for dogs. Learn about your options for a dog fence in this week’s blog. When most people think of a residential fence, they think of the classic wood picket fence. 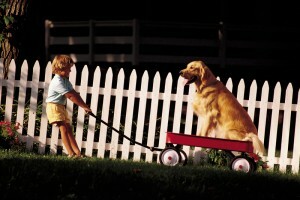 Wood fencing can easily work well for dogs, though you will have to make sure of a few things. The pickets will have to be close enough together so that the dog (especially if it’s a small dog) won’t be able to get out. You can also do a solid wood fence, though this will block your view. In either case, one thing you’ll have to ensure is that the fence is high enough that your dog won’t be able to jump over it. You can also consider split-rail fencing, which offers a horizontal aesthetic that some homeowners find more appealing. You will have to add a strong fabric stop-gap between the rails of the fence to prevent the dog from sliding in between them. Still, many people like split-rail fencing for its simple aesthetic that won’t compromise your view. Chain link fencing is another dog fence that has been used for a long time to make a space for dogs to run around in. Chain link fencing is great because its very durable, and is sure to last for a long time. The small gaps between the links prevent dogs from getting out. Again, the fence will have to be tall enough to prevent jumping. Chain link fences don’t block views, which is another big plus. Hercules of Richmond also offers vinyl chain link fencing for added durability. Speaking of vinyl, vinyl fencing is another great option for a dog fence. Vinyl fencing can be constructed as a solid, picket, or split-rail structure, and offers strength and durability. Maintenance requirements for vinyl fencing are also very low, which makes this an attractive option for homeowners. The versatility of aluminum and steel mean they can easily be configured as a dog fence. These metals are highly durable and offer a high degree of customization. If you want that classic, ornate fence look, aluminum and steel can both deliver. This entry was posted on Friday, February 13th, 2015 at 5:07 pm. Both comments and pings are currently closed.